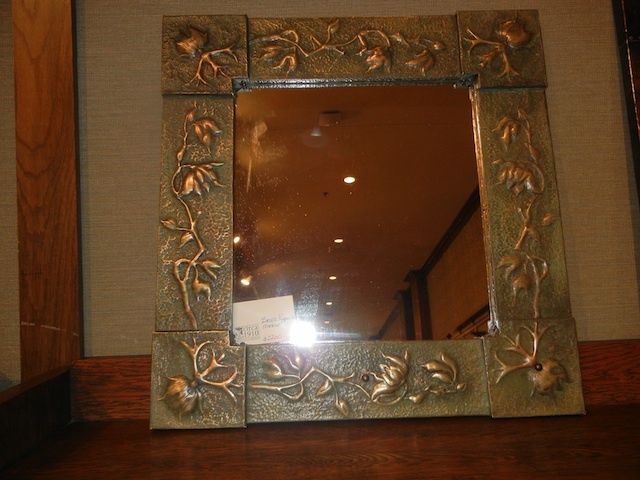 Hammered and folate repousse wall mirror. Beautifully worked and patinated. 23″w x 24″h.